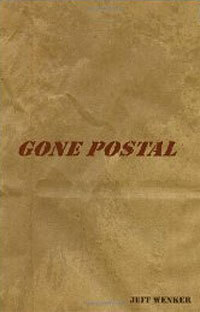 Jeff Wenker is the author of Gone Postal (2012). Set in Seattle, Vancouver, Seoul and San Francisco, Gone Postal is the story of an out-of-work software salesman who joins a group of disgruntled mailmen stealing junk mail and taking it to recycling for beer money. A local crime boss discovers their scheme and blackmails the crew into running guns and drugs. To extricate themselves from his oily grasp, the mailmen turn to a cabal of mercenaries and political schemers plotting the Revolution of the Western States of America. Hilarity ensues. For more on this author go to http://www.jeffwenker.com/.